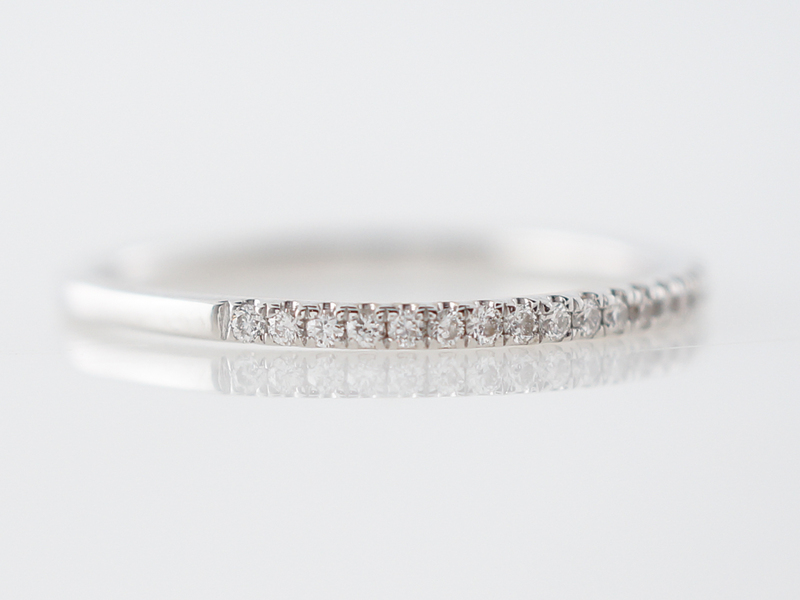 This diamond wedding band features twenty-five (25) prong set diamonds set in 18 karat white gold. 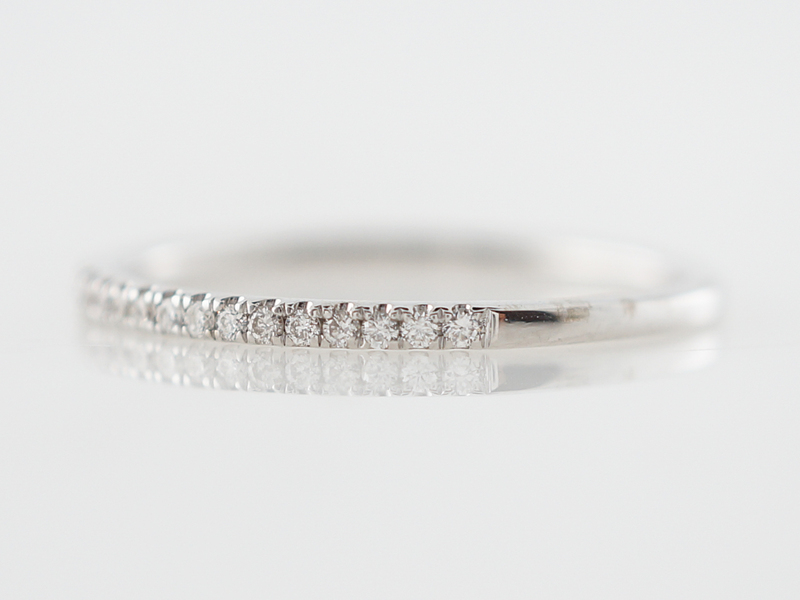 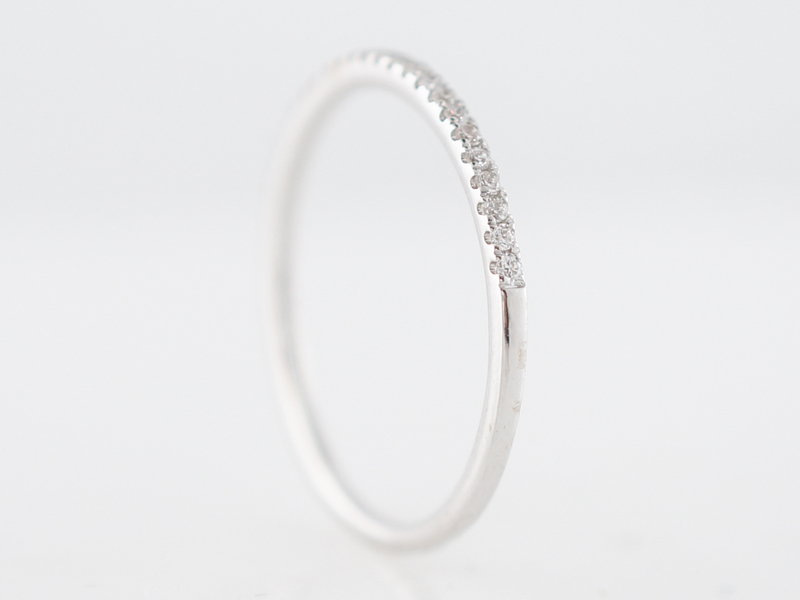 The diamonds are set half way around the length of the band and provide a beautiful shimmer from every angle. 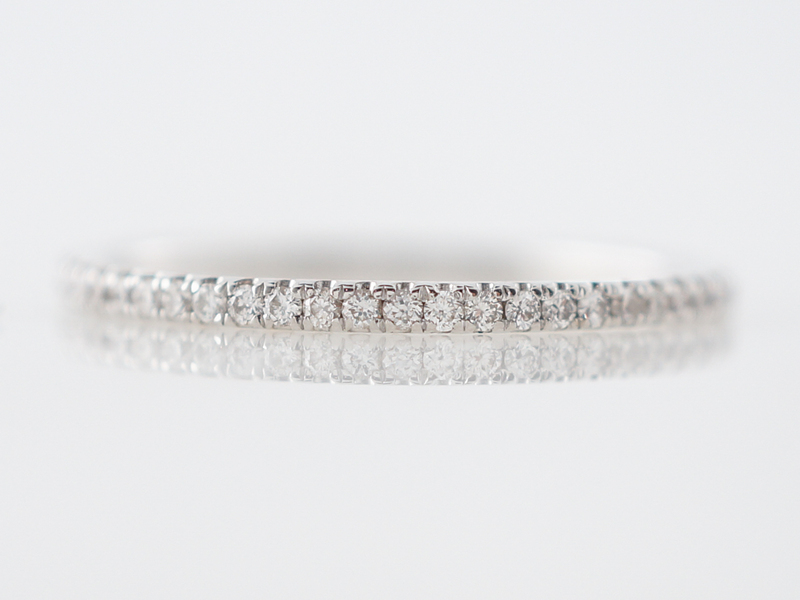 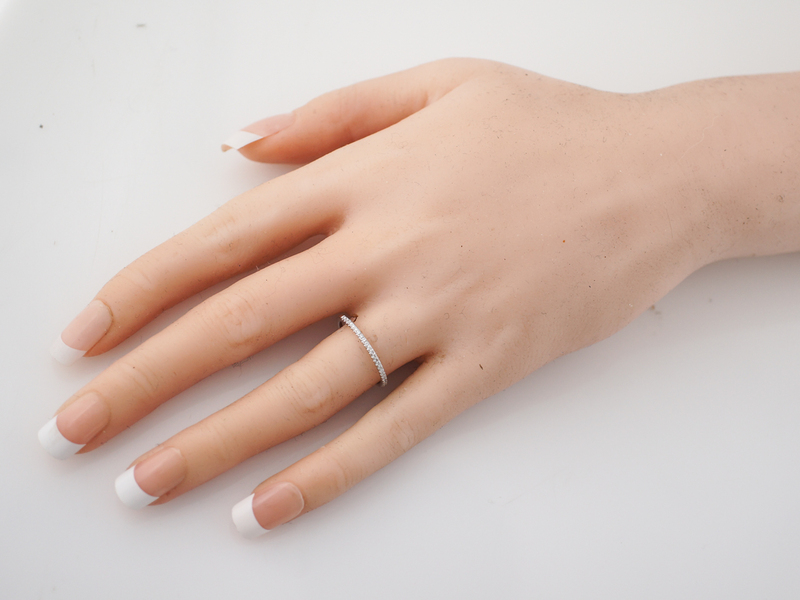 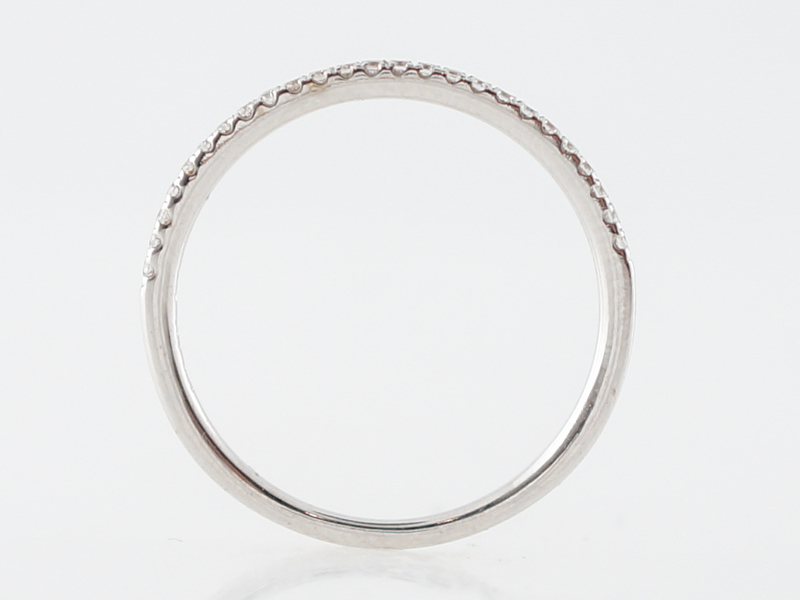 This band would pair well with most any antique or modern engagement ring or stack.